Its no wonder that Epcot is the theme park with the largest amount of transportation options. Walt Disney originally envisioned this park as a functioning city, with the most effective, and clean systems of transportation for both the working class, and the visiting guests. The monorail rounds Spaceship Earth on it’s journey to Epcot! Photo by Judd Helms. My favorite ride in Epcot is Spaceship Earth. Being the educational sponge that I am, I love the way that this ride presents the evolving inventions throughout history, both communication and transportation. Epcot is a hub of all things transportation. Did you know that you can get to Epcot five different ways? 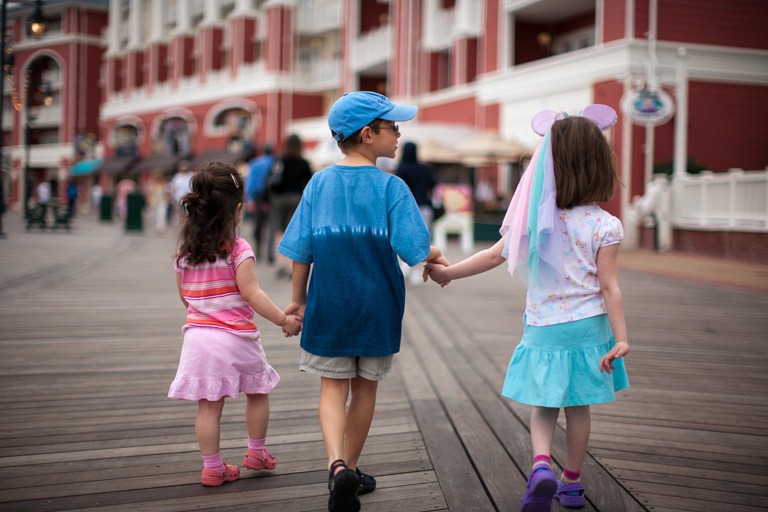 You can walk to Epcot from the BoardWalk Inn! Photo by Eric Weber. If you are staying at either at The Boardwalk or the Beach Club (or technically any of the Epcot area hotels), you can easily walk to Epcot on a designated walking trail. The Boardwalk is practically right next door to Epcot; you can even view Illuminations: Reflections of Earth over Crescent Lake! The Beach Club is the next closest resort that offers a waking path straight to Epcot. These entrances will allow you to come into the International Gateway in the World Showcase section of Epcot. If you aren’t in the mood to walk, you can also take a boat ride over to the same location via Crescent Lake. 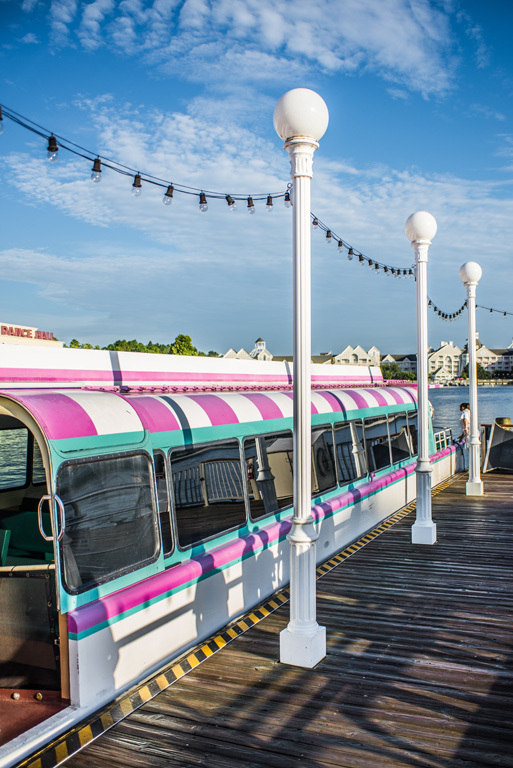 You can board a boat from the Epcot Resorts, or even from Hollywood Studios to get to Epcot. Grab a ride on one of the Friendships! Photo by Bill Sferrazza. For those of us who love showing off our rental cars and or minivans, you can drive to Epcot! Who knew! Right? Epcot has one of the largest parking lots on property. Once parked, you can take one of the highly efficient parking lot trams to the entrance of the park. You can also take a Disney Bus (aka: Luxury Escorted Motorcoach) to Epcot! 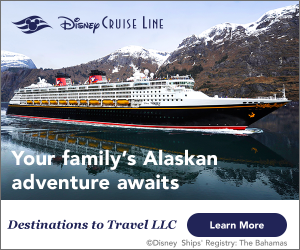 They are easy and fun for those staying at WDW resort hotels! 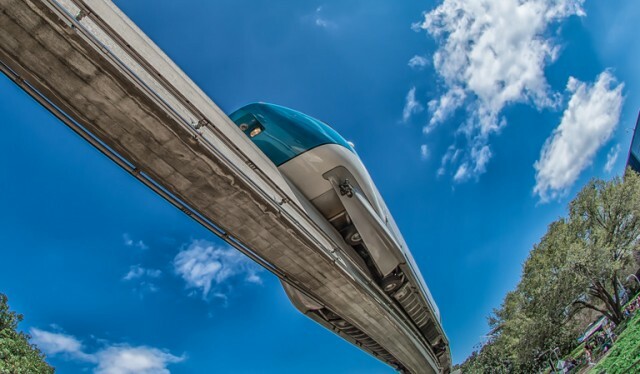 If you’re looking for other options, you can also take the “Highway in the Sky” – Disney World’s monorail also connects to Epcot. You can board a Monorail from The Magic Kingdom, or the Ticket and Transportation Center. If you are looking to go to Epcot from The Magic Kingdom, simply take the Monorail to the Transportation and Ticket Center; from there you will exit and walk to the adjacent platform to board the “Epcot” Monorail. Highway in the sky! Photo by Judd Helms. Even if you aren’t looking to go into the park, a ride on the “Epcot” Monorail is out of this world! Not only is it a fun ride to get there, but this Monorail makes a lap inside the park, which is pretty cool! With all these transportation options, Epcot is a hub for moving people around. Walt Disney originally envisioned people going to and from work on PeopleMovers. I don’t know about you, but I would highly enjoy a morning commute on a Disney PeopleMover! 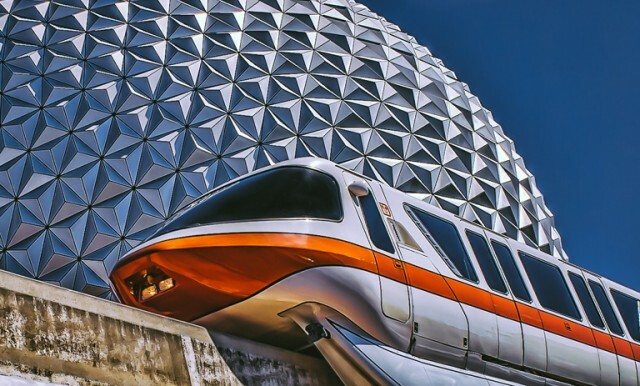 What’s your favorite way to get to and from Epcot?